science denial | Global Warming: Man or Myth? So there I was Tweeting about the various observations that show the climate system is warming, when all of a sudden, BLAM! BLAM! BLAM! A few of my factually-challenged Tweeps were taking shots at me. Did I panic? Nah. These Tweeps rarely use real bullets. Sigh. Once again, the Wall Street Journal has published a nonsense op-ed that has the climate denialosphere all in a tizzy. The author of the op-ed, Matt Ridley, tries to convince us that global warming won’t be so bad. The track record of correct climate science in WSJ op-eds leaves much to be desired. In Wall Street Journal: Selectively Pro-Science, I showed that WSJ op-eds fail to properly inform 93% of the time. In another study, The Union of Concerned Scientists found that WSJ op-eds mislead 81% of the time. Matt Ridley bases his left field claim on the “expertise” of Nicholas Lewis who Ridley claims is “A semiretired successful financier from Bath, England, with a strong mathematics and physics background, Mr. Lewis has made significant contributions to the subject of climate change.” Using two journal database search tools, I could only locate one paper from Lewis. Just one. I guess WSJ and Ridley think Lewis’ one peer-reviewed science paper qualifies as “significant contributions to the subject of climate change” and he is qualified to overturn the many thousands of experts (including health officials, military officials, and insurers) who are very concerned about the expected planetary warming. Last night, PBS Frontline premiered their expose of climate science denial’s key players titled Climate of Doubt. The show highlighted S. Fred Singer, Patrick Michaels, Christopher Monckton, Chris Horner, Myron Ebell, and James Taylor, among several others. The episode also featured right-wing denier organization such as Heartland Institute, American Tradition Institute, Competitive Enterprise Institute and others, who routinely attack climate science and its researchers. Climate of Doubt shows us how a handful of ideologues have hijacked Congress so that the most important issue facing humanity today is not even mentioned at any of the three presidential debates. So what can you do to help our researchers who are being harassed by these Climate of Doubtmongers? A great way to do so is to support the Climate Science Legal Defense Fund (CSLDF). CSLDF was founded to protect the scientific endeavor by offering legal education resources to climate scientists as well as a “war chest” for scientists who are faced with expensive legal battles. The fossil fuel-funded ideologues have an almost unlimited amount of financial resources so CSLDF can use all the help it can get from concerned citizens and foundations. Hey Joe, Where You Goin’ With That Dumb in Your Head? Joe Bastardi holds a BS in meteorology from Penn State University and was an undergrad there while I attended as a grad student. Joe is very good when it comes to understanding weather but his climate science is, well, pretty lousy. For some odd reason, USA Today decided to let Joe show us how little he knows about very basic climate science. Fox News and Hannity love Joe, but I expected USA Today to have higher standards. USA Today has been very good reporting real science so I will chalk this up to somebody missing their cup of coffee this morning and hitting the YES button by mistake. So, “what’s with the numbers”, you ask? These represent the myths that Joe dishes out in his op-ed that are corrected at the Skeptical Science Arguments web page. It took me an entire, pain-staking 10 minutes using only my mouse and the CTRL-F key to demolish Joe’s various claims. Some might argue that this blog post is a hit job on Joe but, of course, Joe has made these same comments MANY times before and has been corrected many times before. You sleep in the bed you make and Joe’s bed is pretty shabby-looking. Joe is either loudly yelling “lalalalalalalalalalalalala” when he is corrected or he knows he is wrong and is intentionally misleading. Which is it? Update 08/02: I have removed #18 from the list of SkS links above. After further review, I think Joe Bastardi’s claim that we cannot attribute Irene to global warming, although phrased poorly, is probably not one that can be called “wrong”. 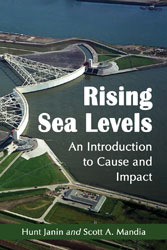 I also suggest that those interested in the scientific understanding of the link between AGW and hurricanes download and read the IPCC SREX section regarding the literature on this topic. See Pages 159 – 163 in the Full Report and you will see that linking AGW to recent hurricanes is still a low confidence claim. H/T to Dr. Ryan Maue (@RyanMaue) for helpful pointers.